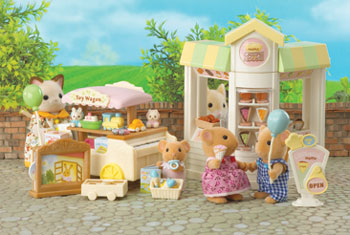 Sylvanians love shopping and eating out, and taking a stroll into the Village Square. This summer they will see the addition of two new market stalls. The new Street Market set includes a Crepe (pancake) Stall which sells delicious sweet and savoury crepes, along with a new Toy Wagon selling all manner of exciting toys and games for the Sylvanian children.